We followed-up on AARP Community Challenge grantees. Take a look at what they achieved! 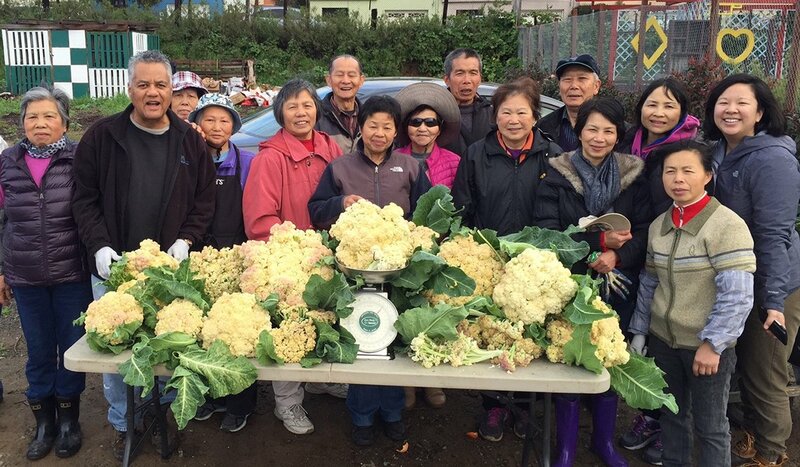 When the Florence Fang Asian Community Garden in the Bayview–Hunters Point section of San Francisco, California, opened in 2014, it filled a need for green open space, being the city's only neighborhood with two freeways cutting through it. (The poverty level in this area is double the citywide average.) Gardening provided a welcome means for residents, particularly older adults, to get exercise and eat fresh vegetables. As part of the next phase the gardeners were able to increase the space available for growing crops, improve growing techniques, upgrade distribution facilities, and conduct community outreach to promote healthy eating. To encourage pedestrian traffic, the very small city of Port Orford, Oregon (population 1,159, average age 56), installed seating with attached planters. 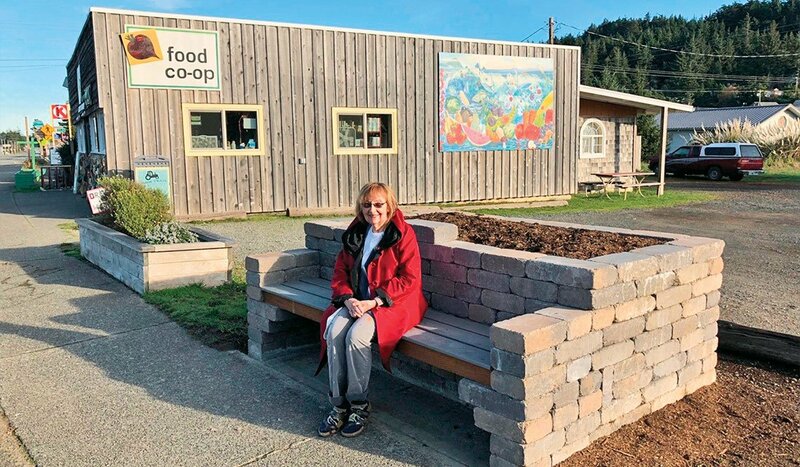 The benches five the business district a boost and "provide a needed place for people to rest, people watch, talk to friends and enjoy the town," explains Karen Auburn, president of the Port Orford Street Revitalization Association. A construction crew from a nearby correctional facility built four bench-planter combos. Residents and local organizations have adopted the bench-planters and are responsible for their maintenance. The electric company is watering the plants. High school students made plaques to recognize the inmates for their work and AARP for helping to fund the building supplies. Adds Auburn: "Our nonprofit Revitalization Association is so dependent on grants. This successful project supported by AARP is so important in our small, poor community." The City Heights neighborhood of San Diego, California, is an enclave for refugees from Somalia and other East African countries. Local residents, particularly ones 50 or older, gather in parking lots and on sidewalks at the busy area along University Avenue, home to shops, markets and mosques. AARP funding allowed the installation of permanent seating and greenery, improving this cultural hub. Parklets are temporary platforms that turn an existing parking spot into an outdoor space for public enjoyment. By expanding sidewalk space, parklets foster walkability, promote economic development, increase use by pedestrians and strengthen a sense of place. 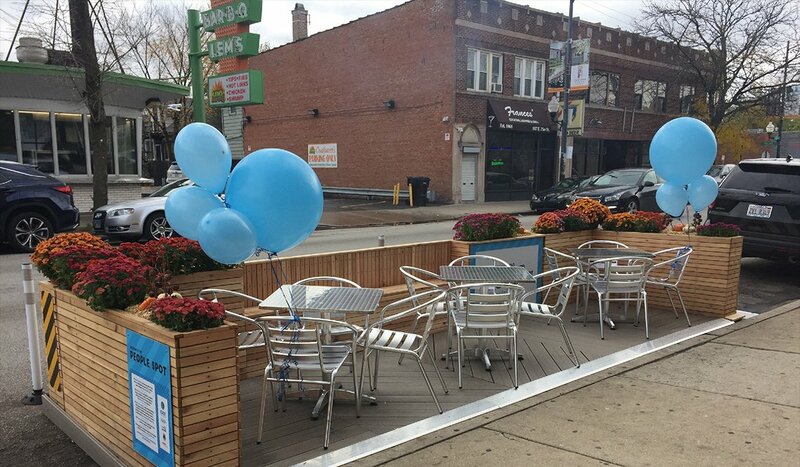 Using AARP funding and working through through the Make Way for People program, the city of Chicago, Illinois, created a replicable design for what it calls a "People Spot," helping to reduce or eliminate the design costs typically associated with parklet installations. 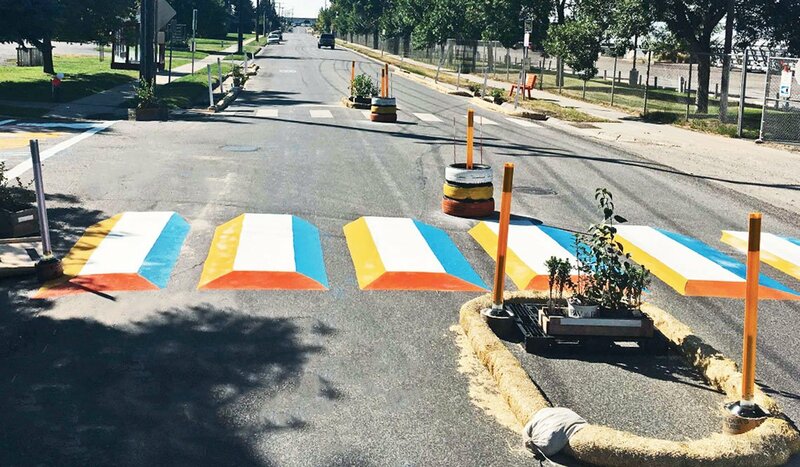 The grant also funded the construction of a standard People Spot prototype for installation on a rotating basis in areas of high economic hardship or designated as “retail thrive zones” in Chicago’s south, southwest and west sides. Until recently, public art displays had been prohibited in downtown Danville, Kentucky. 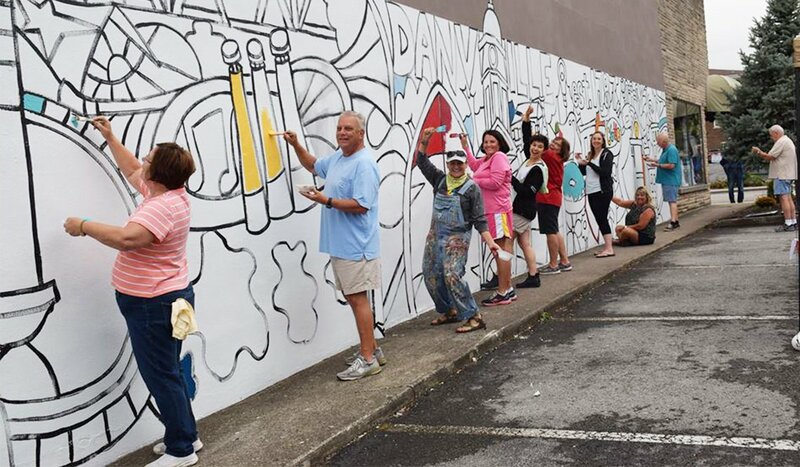 The Heart of Danville has supported more than 100 major renovation projects, installed the community’s first mural in what is planned as an artists’ alley. Manning, Iowa’s brick-paved Main Street is on the National Register of Historic Places and is a popular gathering spot for neighbors of all ages, including residents of the nearby Plaza Nursing Home. 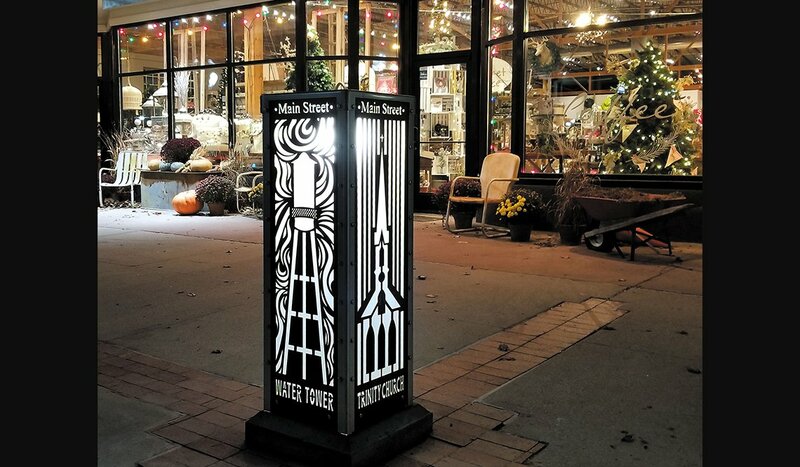 AARP funding helped add ambience to the area with the purchase and installation of 12 lighting fixtures created by students from the Iowa State University College of Design. 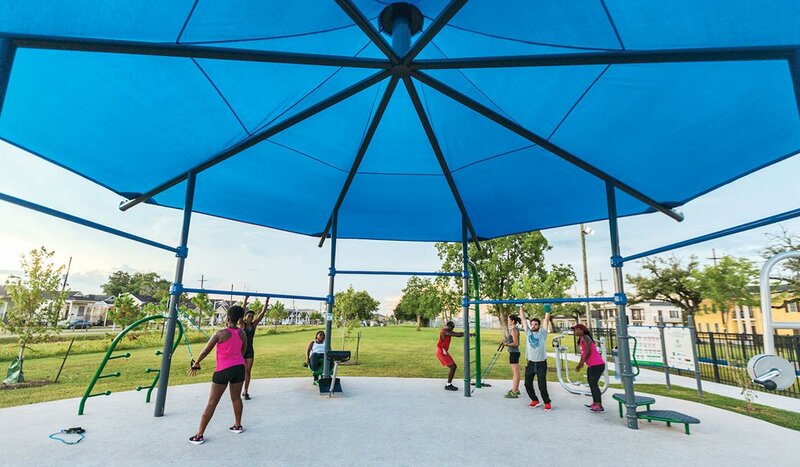 A FitLot is an outdoor fitness park that makes the benefits of indoor exercise training free and accessible to the public. At the FitLot park in New Orleans, Louisiana, coaches provided 36 hours of free training to, says an organizer, “an extremely dedicated group of seniors in a community that suffers from one of the largest health disparity gaps in the country.” AARP Community Challenge grant funding also helped to construct a footbridge and walking path from the community fitness lot to the Lafitte Greenway, an active rails-to-trails pedestrian path. 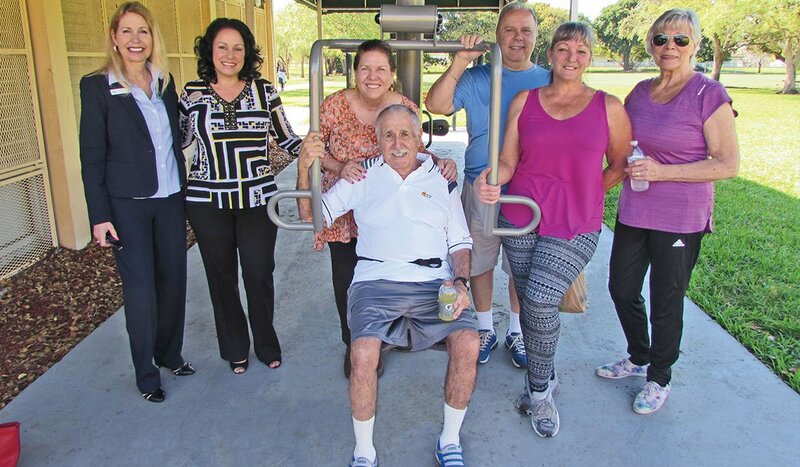 An AARP Community Challenge grant made it possible for Cutler Bay, Florida, to install four pieces of "universally accessible" fitness equipment (three of them wheelchair accessible) under a shade canopy in Cutler Ridge Park. “This project is the perfect combination of our efforts to increase available services to our active adult community, and our efforts to increase access to fitness amenities throughout the Town,” said Mayor Peggy Bell. 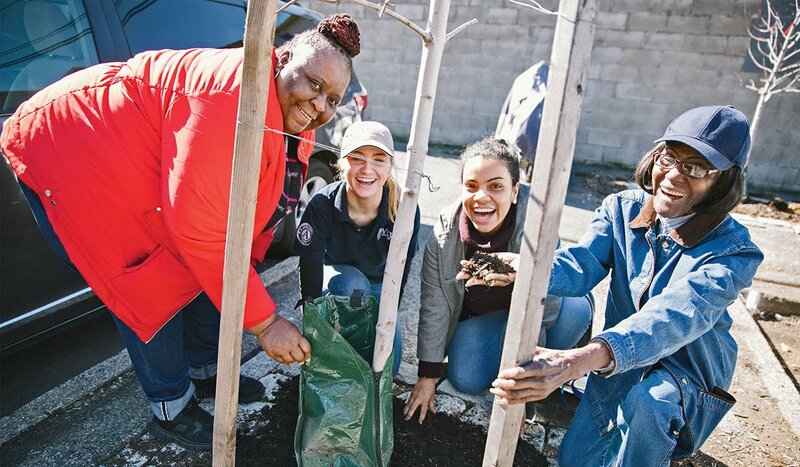 In Jersey City, New Jersey, residents, students and volunteers (including from the Americorps VISTA program) planted trees and other greenery in a stark public housing complex as part of a beautification effort called The Tree Lovers Crew. The power of plants, and planting them, served a similar purpose in Marion Gardens, a public housing complex in Jersey City, New Jersey. There, also in the fall of 2017, dozens of volunteers — including residents, high school students and Mayor Steven Fulop — came out to plant trees, shrubs and flowers. 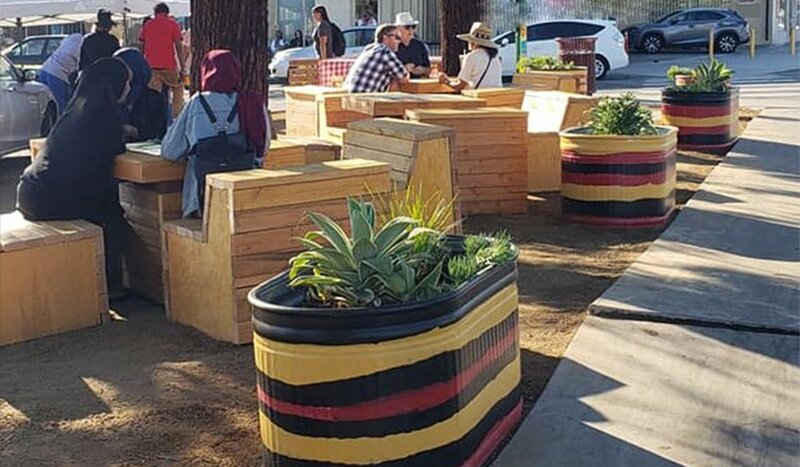 “The planting area was entirely concrete with a white cement wall topped with barbed wire, which made the area feel wholly unwelcoming and seemed to encourage litter and vandalism," says Brian Platt, the city's director of innovation. "The tree planting was meant to bring in more green space, allow for more water filtration by increasing the pervious surface, and promote a healthy and clean neighborhood." After Hurricane Katrina nearly leveled the Bayou View West neighborhood in Gulfport, Mississippi, in 2005, the Federal Emergency Management Agency bought out the remaining residents and handed the property over to the city. 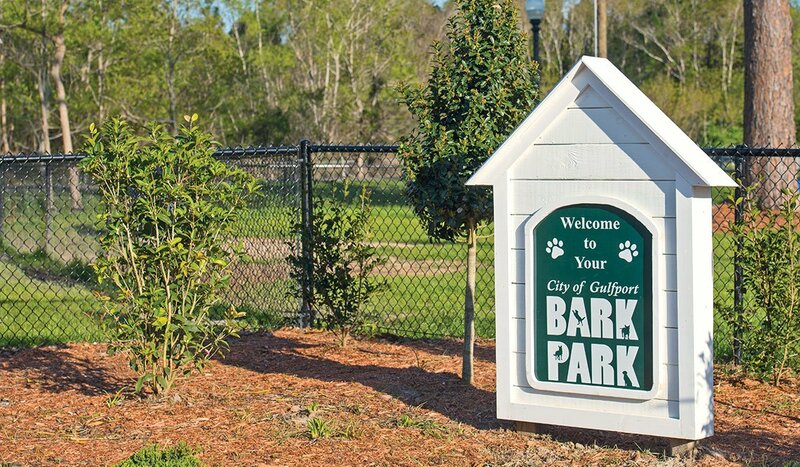 Funded by an AARP Community Challenge grant Gulfport’s first dog park, the Bark Park, attracted more than 200 happy people and dogs on its opening day in 2017. ("Our Bark Park continues to grow in notoriety and popularity. It is constantly being used," says David L. Parker, Gulfport's economic development director.) If the area floods again, homes won’t be at risk. And once the park dries out, people and pups can return. Supplies for this protected bike land demonstration by the nonprofit Go Green Wilmette in Wilmette, Illinois, were bought with funds from an AARP Community Challenge grant. On the shopping list: Wikiblock Koda Planers and a Diodati bike stencil (the design downloads are at BetterBlock.org/Wikiblock), plastic planter inserts and, in honor of autumn, pumpkins. Board member and physician Anne Nagle reports that since the project, Wilmette has earned bronze-level recognition from the Bike Friendly Community Award from the League of American Bicyclists. "I believe the AARP grant and pop-up demonstration showed the committee we're commited to making our streets safe for people of all ages and abilities." 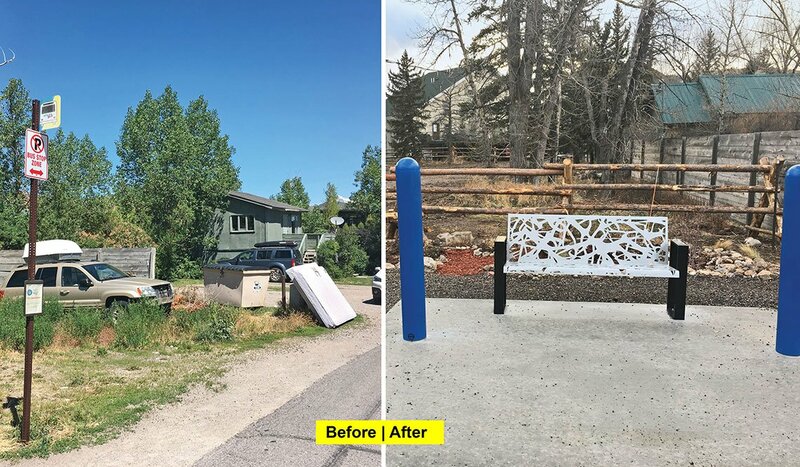 AARP grant funding helped the senior center in Jackson Hole, Wyoming, clear weeds and trash from a bus stop with no seating and install a bench and landscaping. Several dozen older adults and people with disabilities live across the street from the bus stop. Also nearby is a housing complex where many young families live. "All of these residents will benefit from having a safer, more comfortable and aesthetically pleasing place to wait for the bus, and it will enourage them to more fully participate in the larger Jackson Hole community," wrote Becky Zaist, executive director of the Senior Center of Jackson Hole, in the center's grant application. With the funding granted and the cleanup complete, neighbors came out to help landscape the area. Next on the wish list: Installing a bus shelter. 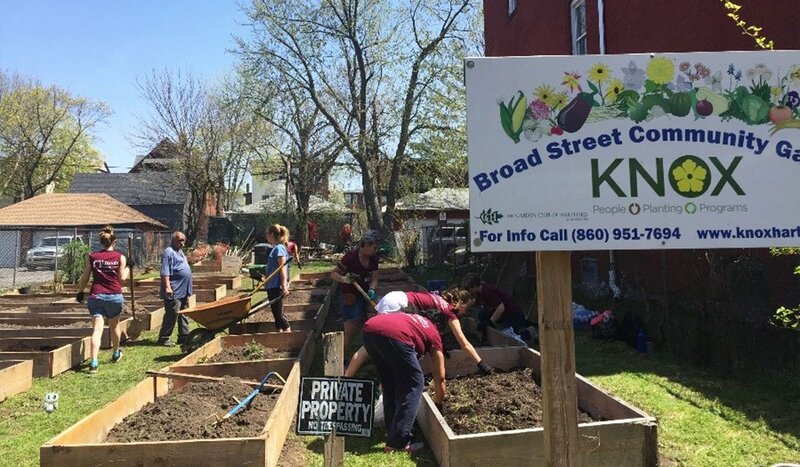 Among the goals of the Go, Go, Go: Making Our Community More Livable project in the Chinatown district of downtown Philadelphia, Pennsylvania, was to enable residents to build friendships in a linguistically and culturally accessible way. (One out of 5 Chinatown residents is an older adult and nearly 90 percent of those individuals have limited English proficiency.) 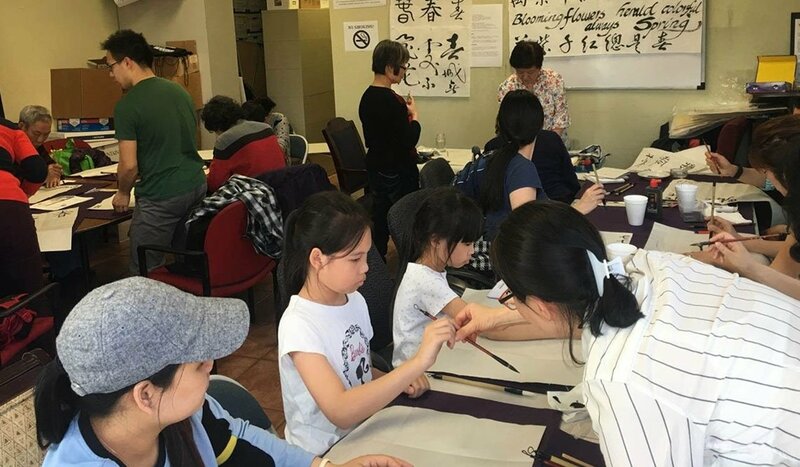 In 2017, the Philadelphia Chinatown Development Corporation hosted weekly painting classes and launched the Chinatown Garden Club. More than 150 people — ranging in age from 3 to 87 — participated in the programs. The turnout helped prove the need for a shared community space. “Chinatown has grown significantly over the past decade, introducing an influx of high-income young urban professionals, but still does not have its own safe and accessible public space — a community center, library, rec center or park — to build community among its diverse residents,” notes John Chin, executive director of the PCDC. “The Go, Go, Go project demonstrated that accessible community events and clubs start important dialogues between disparate groups and unite them in taking ownership of their neighborhood.” In 2018, the PCDC launched a program with storytelling sessions and calligraphy classes (shown) that, says deputy director Rachel Mak, are "bridging our divided community and preserving our community's identity and stories." 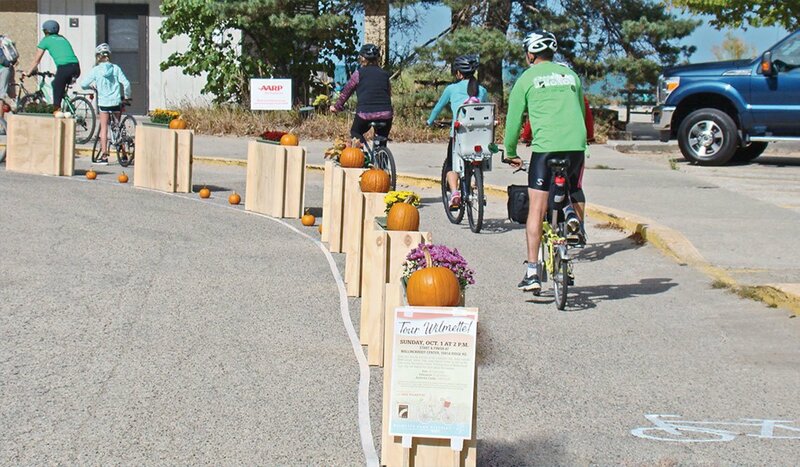 An AARP Community Challenge grant helped the Western Transportation Institute at Montana State University and the city streets department of Bozeman, Montana, create demonstration crosswalks, painted illusionary speed bumps, mock medians (made from straw wattles) and a "mobile tool kit" for taking traffic-calming pop-up projects on the road.